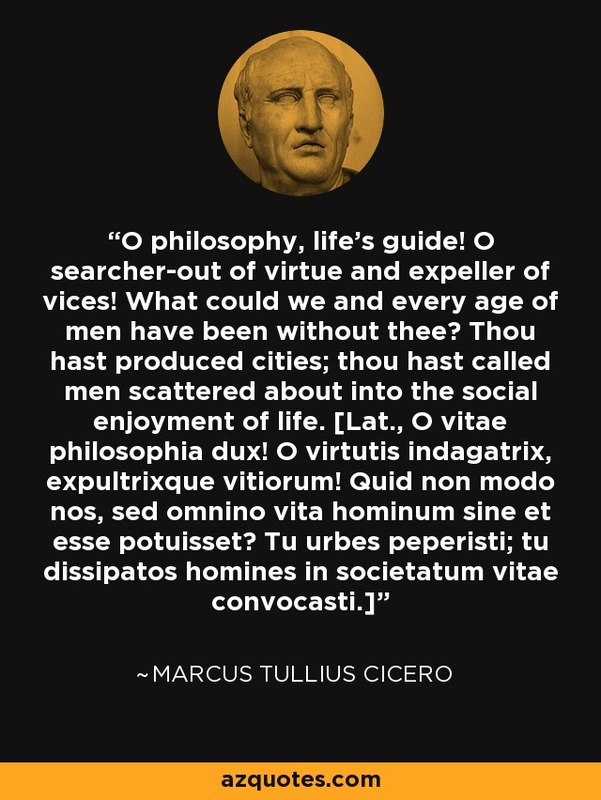 O philosophy, life's guide! O searcher-out of virtue and expeller of vices! What could we and every age of men have been without thee? Thou hast produced cities; thou hast called men scattered about into the social enjoyment of life.